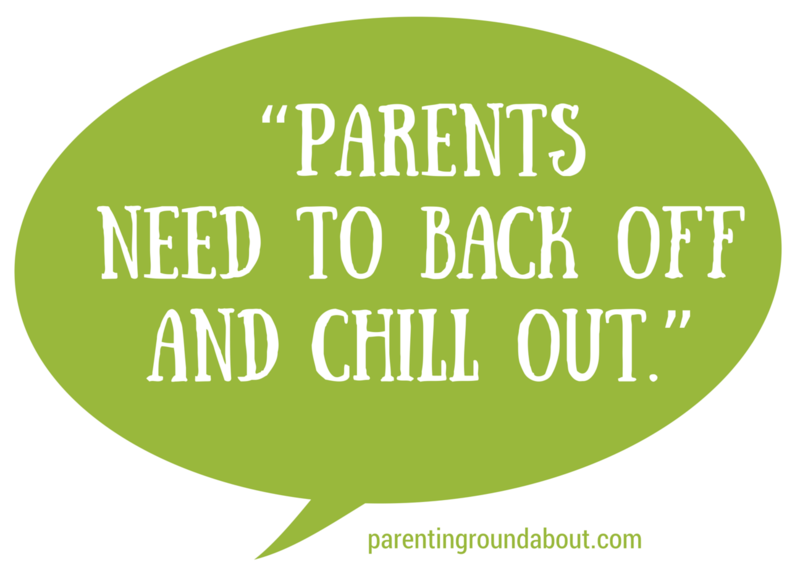 Parenting Roundabout: Episode 91: You've Had Your Turn, You Need to Sit Down! Parents who think their children's activities give them a second time around for childhood too are getting us hot under the collar this week. Nicole is particularly steamed at parents who turn a kid's Halloween costume into a family affair, and even have the nerve to get in on the trick or treating. Catherine thinks parents who want to make their kids' sports all about them need to bench themselves. And Terri's worried that maybe her enthusiastic support of her daughter's marching band crossed the line. Speaking of parents needing to change their ways, we chatted a bit about the habits and traditions we can't quite let go of, from Christmas PJs to driving kids everywhere to hanging on to work habits more appropriate to a college student than a creaky old mom. Finally, we shared our recommendations for the week: Catherine suggested you check out her article on 10 Things You Can Do to Fix Youth Sports if you're bugged by those over-involved parents or might be one; Nicole advocated for submarine parenting rather than the helicopter variety; and Terri wondered whether you've tried The List App (follow her @mamatude if you have).